Get that troublemaker out of your aquarium! 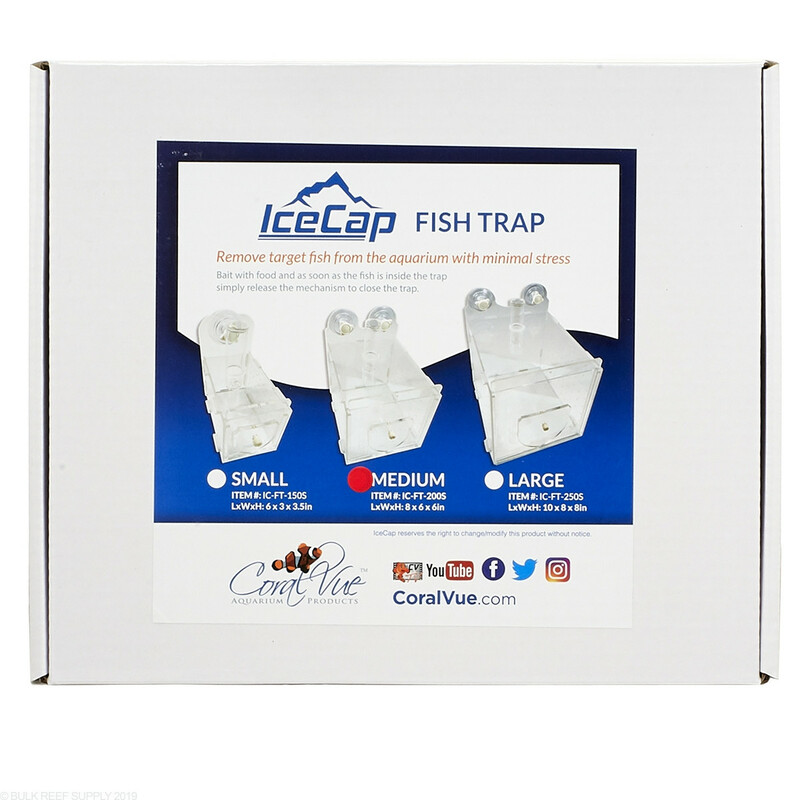 IceCap Fish Traps are by far the easiest solution to catching fish or even invertebrates out of your aquarium while minimizing stress and potential physical damage. 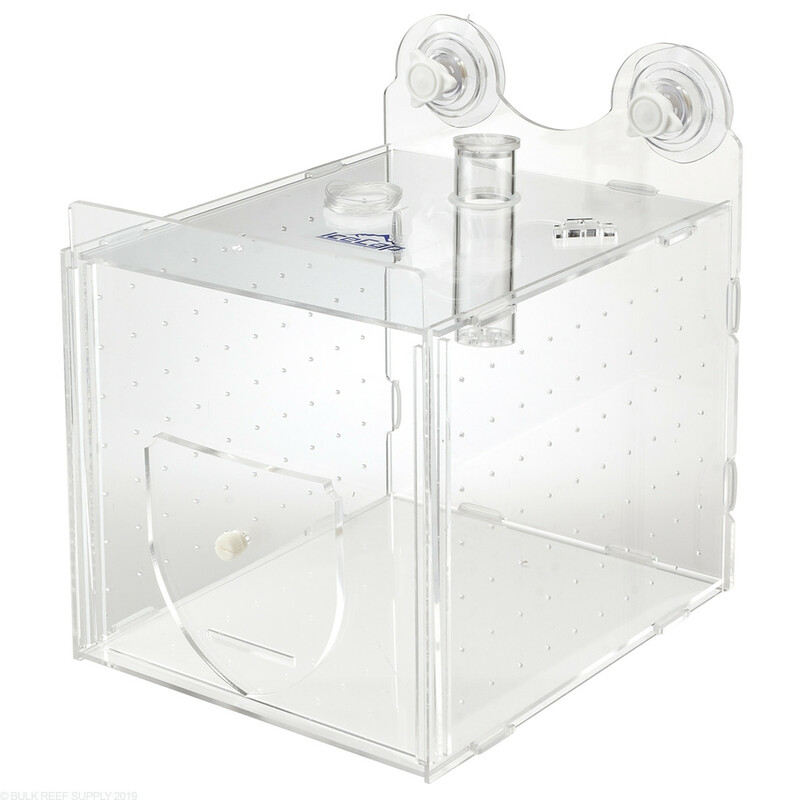 Just place the trap against your tanks glass or acrylic pane and dispense some food inside of the trap through the included feeding tube, set the traps draw-string, then wait for the fish you want to trap to swim into the clear container. 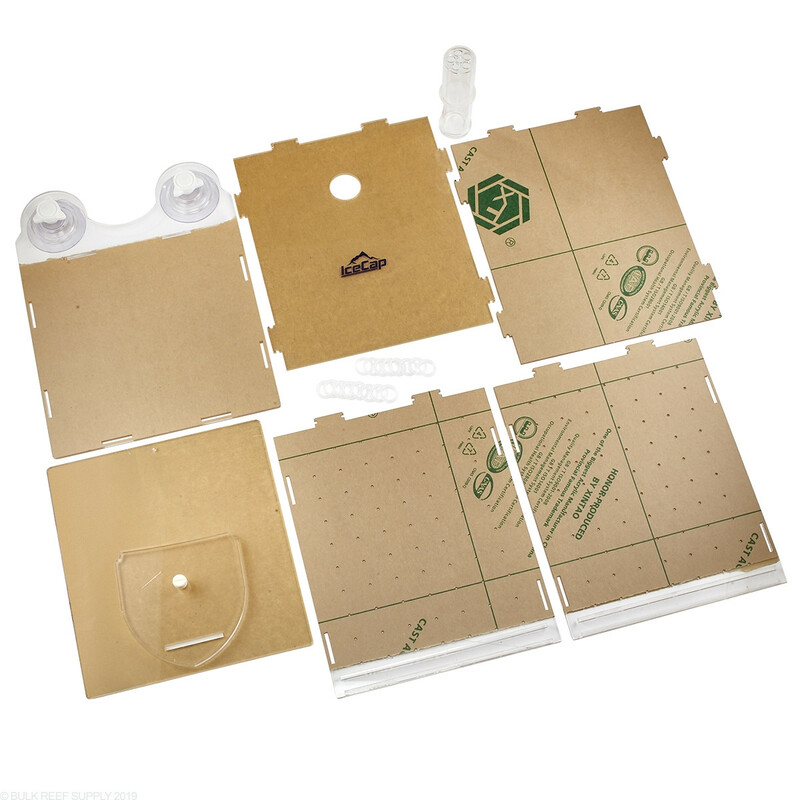 Each trap includes a draw-string, trap door, suction cups, feeding tube, and the trap itself, which does require assembly. 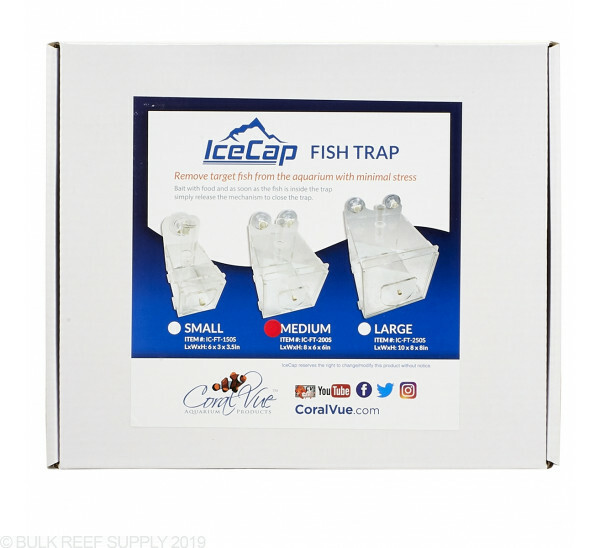 We suggest selecting a trap that has the same width as the largest fish you will want to catch while keeping the size of your aquarium and aquascape in mind. 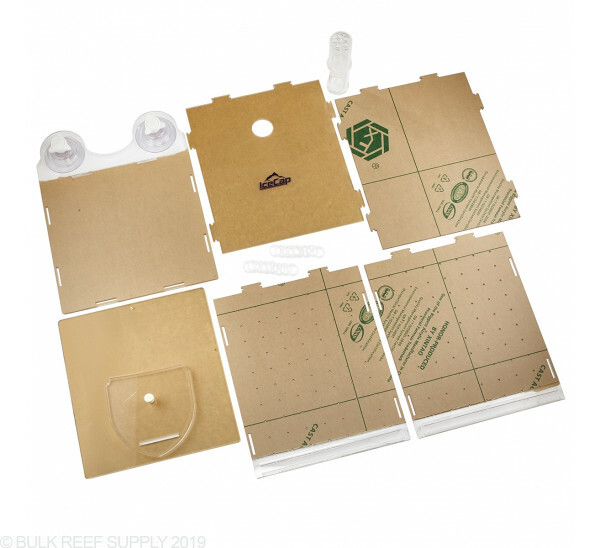 If you have the room in your aquarium for the large trap, it will work on any fish that fits into it, but may not fit between your glass and aquascape, so a smaller trap may be necessary. Place the trap in the portion of the water column where the fish you want to collect normally feeds. 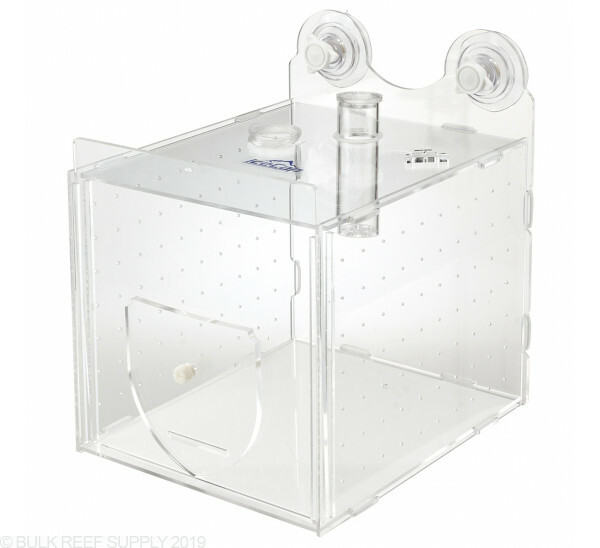 Many aquarists find placing the trap in the center of the aquarium's glass works fine but with certain fish placing the trap closer to the bottom or the top of the tank can help entice the fish to swim into it quicker. It may take a few minutes or even days to catch the fish you desire, and using a cleaning magnet to hold the drawstring in place can keep it at-the-ready when the moment arises. Turn the flow down in the aquarium to keep the food from flowing out of the trap too quickly. I do not recommend this to anybody. You must assemble with caution, as it's more delicate than you'd think. Not sturdy. I'm sure it would do it's job if it wouldn't have broken during assembly. The door for this trap fits loosely, so it sits at an angle. Well that makes it so it doesn't fall while trying to capture a fish.